Need to edit an existing Activity? Sign into you Harmony account whether you need to add a new piece of hardware, remove an obsolete device, or change how devices work within an Activity. Select the Activity you wish to edit and make your desired changes. 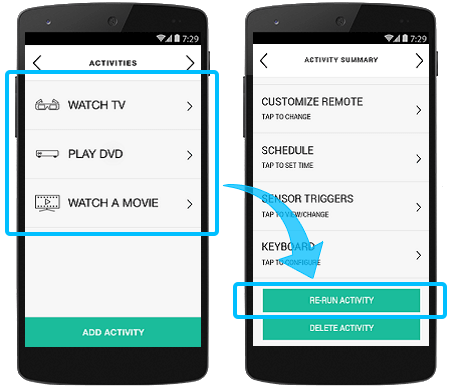 Once complete, scroll down and select RE-RUN ACTIVITY. Follow the on-screen steps to finish editing your Activity. Select the Activities tab on the left side as well as the Activity you'd like to edit (e.g., Watch TV). 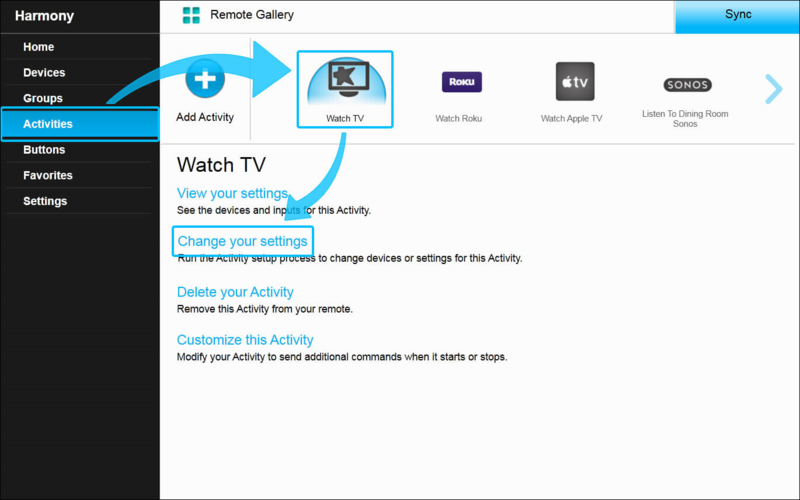 Select Change your settings and follow the on-screen steps to edit your Activity.